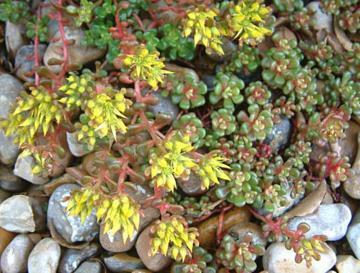 An evergreen alpine making compact mats of small fleshy, red-tinted, green leaves on reddish stems. Small yell flowers in summer. From North-West America, Oregon to Alaska.